Do not read this if you have not seen "The Night Of" finale and intend to watch it. With a response rivaling the first season of "True Detective," HBO newcomer "The Night Of" has been the show of the summer and the buzziest debut from the network since that limited series. That acclaim added the weight of lofty expectations to its eighth episode, which finished off the mystery in understated but satisfying fashion. Of course, the "True Detective" payoff didn't match the build-up, and given the resolution, there will no doubt be some griping about a similar scenario here. 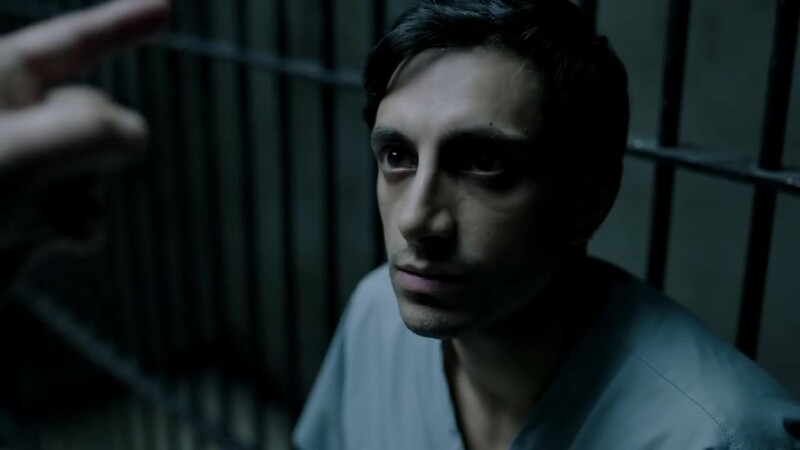 The main difference is that while viewers naturally became caught up in "The Night Of's" whodunit aspect, that was really secondary to the collateral damage the murder accusation against Naz (Riz Ahmed, in what has been a star-making turn) inflicted not just on him, but those close to him. That theme resonated powerfully throughout the conclusion, in which the world-weary detective Box (Bill Camp) came up with a plausible alternative suspect, as the case kept gnawing at him post-retirement. It also saw Naz's young attorney, Chandra (Amara Karan), endanger her career through the revelation that she had become too involved with her client, compelling the cut-rate defense attorney who became Naz's unlikely champion, John Stone (John Turturro), to deliver the closing argument that would help spare him. Turturro might have inherited the role from the late James Gandolfini, but in hindsight, it's hard to imagine anyone could have played it better. That included the outbreak of eczema that turned him into a scratched-up mess in court; and the subtle realization that he, unlike Naz, would go back to pretty much business as usual, representing the guilty and scrounging for his cash fees. Running 98 minutes, the finale spent perhaps a bit too much time in the courtroom, giving relatively short shrift to the little matter of actually solving the murder. Series creators Richard Price and Steve Zaillian didn't lay blame upon one of the usual suspects, and one can argue the results of Box's continuing investigation fell into place a bit too neatly and came out of left field. Still, that sort of misses the point, beautifully set up in the absorbing first episode: A quiet, unassuming student who had been the pride of his Pakistani immigrant parents, Naz engaged in one uncharacteristic, spontaneous moment that would have serious consequences on his life, whatever the trial's outcome. The far-reaching toll was reinforced by his continued drug use after his release, a byproduct of the compromises made to survive the hardening and dehumanizing aspects of prison. The natural temptation will be to try to replicate the program's admirable qualities with a follow-up of some kind, which has already been discussed. Yet given the "True Detective" experience, that seems like a sucker's bet. As Stone counseled Naz at the end, there's wisdom in getting on with one's life, especially faced with the daunting prospect of creating another "Night" as good as this one.